This beautiful piece of Larimar gemstone is so dramatic with the accented London Blue Topaz adorning the top of the silver work. The London Blue Topaz is top quality and one full carat. 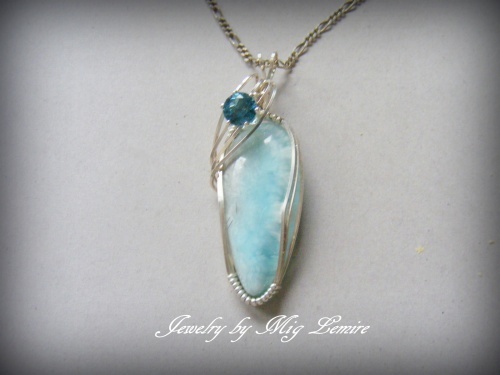 The Larimar gemstone is framed with sterling silver scuplting. Piece measures 2" long and 3/4" wide. Comes with an 18" sterling silver chain.